It is a common misconception that obstetricians and natural healthcare practitioners are mutually exclusive. Yet many women have found that their obstetrician often doesn’t have time to answer all of their questions. However, a natural healthcare practitioner can offer support, advice, and treatment specific to your needs. Our team includes licensed Naturopathic Physicians, Homeopaths, Clinical Nutritionists, Traditional Chinese Medicine Practitioners, Acupuncturists, Osteopaths, Hypnobirthing Specialists, Mindfulness practitioners and Psychologists and Counsellors. 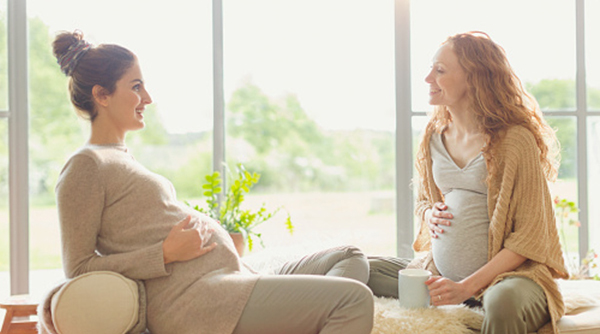 Most of our practitioners who specialise in pregnancy care also are experienced at working with other specialists and integrative background. This means that they have a deeper understanding of the body, mind, and energy from a medical as well as a natural medicine perspective. Many practices draw on the wisdom of ancient healing traditions, renowned for supporting women during pregnancy for thousands of years. You can receive safe and effective treatment to support your body naturally whilst you continue to have regular check-ups with your obstetrician. If you are planning to conceive or trying to boost your fertility then we have many modalities in natural medicine that can support you. This phase is an ideal time to consider a safe, naturopath-supervised clinical detoxification to minimize harmful toxins being passed on to your baby. We would also ensure that you are on a supplement programme that is specific to you. This will support an optional pregnancy for you and your little one. Having a baby can be one of the most rewarding and enriching experience life has to offer. On the other hand, pregnancy can bring with it all sorts of physical challenges and conflicting emotions during this transitional time. Each trimester your body goes through physiological, hormonal, and psychological changes. 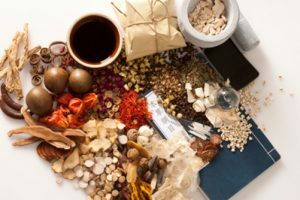 Fortunately there is a long history of pregnancy and a lot of wisdom from ancient traditions that has been applied and refined for thousands of years, aimed to support women through these natural changes. If possible, we aim to first treat these conditions with safe, natural remedies. This is because when you are pregnant drugs can cross the placenta and affect the development of your baby. However, we recognise that sometimes medications are needed. If so, we would work in conjunction with your medical treatment to minimise side-effects and strengthen your system and immunity. When deciding on your birth plan, it is important to know what options are available to you. Although both private and public hospitals in Hong Kong provide excellent maternity care, there is more to your birth plan than where and how you choose to deliver your baby. Whether you want a natural birth or a medically assisted (epidural) delivery, natural therapies can play a huge role in working with your body’s innate wisdom to prepare for childbirth. Prior to labour, safe herbal medicines (Eastern and Western) can help improve the strength and tone of the uterus. Ideally you would be seeing an osteopath by this time as they would be paying close attention to the mobility of your baby and all of the structures around the uterus. During labour, homeopathic remedies, acupuncture and osteopathy can help with the pain, dilation and speed up the delivery process naturally. If you go past your due date, these modalities are also highly effective to induce labour. Mindfulness, breathing techniques and hypnobirthing can also help you to prepare for birth. When a baby is breech, instead of a head down position, the baby is poised to come out feet or buttocks first. This presents some hazards to baby and mum, and often a C-section is required. The combination of gentle, skilled osteopathy, acupuncture and moxibustion from Traditional Chinese Medicine (TCM) are examples of safe and highly effective treatments to help to turn a breech baby. As you recover from birth and adapt to being a mum, again many physiological, hormonal, and psychological changes are happening. 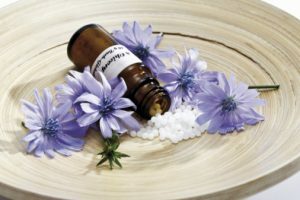 For immediate post labour recovery, homeopathy can help with bruising, and modalities such as herbal medicine, acupuncture, and osteopathy are renowned for postpartum support. Osteopathy and other skilled manual therapies can also help with relieving pain, increasing mobility and reducing scar tissue. Newborns also benefit with gentle manual techniques that relieve retained birth stress, and support early physical and emotional development. If there are signs of post-natal depression or anxiety, which can be quite common after birth, supplements, homeopathy and professional counselling can make a huge difference and provide relief and support during this precious time. We appreciate that the wide range of natural therapies can be confusing. To guide you towards the most appropriate practitioners or treatments to suit your personal needs, you can book a free 20-minute session with our Integral Health Advisor who can signpost you towards the right service or practitioner to start with. Call 2523 7121 or fill in this IHA e-form to book an appointment with our Integral Health Advisor. Carole is IMI’s Brand and Concept Director and Core Process Psychotherapist. She integrates early developmental psychology with mindfulness and awareness practice in her psychotherapy sessions. 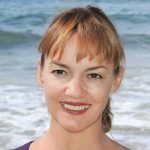 Prior to this Carole has over a decade of teaching experience in mindfulness and yoga. Before discovering the health and wellness professions, she held leadership roles in the corporate and public sectors and understands the challenges that people face in an increasingly demanding and pressured world.